It's Art Fair season - the time when both established and emerging artists get to showcase their work to gallerists, buyers and art-fanatics alike. Members of the public can wander through the venues, soaking up the art or looking for a piece to buy, and you might even catch sight of your favourite artist in the crowd. To celebrate the creative buzz that only an Art Fair can bring, we've drawn up a list of some of the unmissable ones across the UK this year. So whether you want to start your own art collection, you're looking for inspiration or you simply want to wander around the stalls and check out the art on offer, make sure you get down to at least one of them in 2015. Art15, the third edition of London’s global art fair, returns to Olympia, Kensington this year. From Amman to Amsterdam, New York to New Delhi and Sao Paulo to Seoul, 150 modern and contemporary galleries from 40 countries will present artists from across the globe.vThe public programme includes talks, tours, projects and specially curated initiatives, plus a bookstore run by leading publishers and exclusive evening events. Celebrating the exuberant culinary talent of London, Art15’s pop-up restaurant Food4Art will feature the city’s premier chefs from Barrafina, Gymkhana, The Clove Club, and the Colony Grill Room. 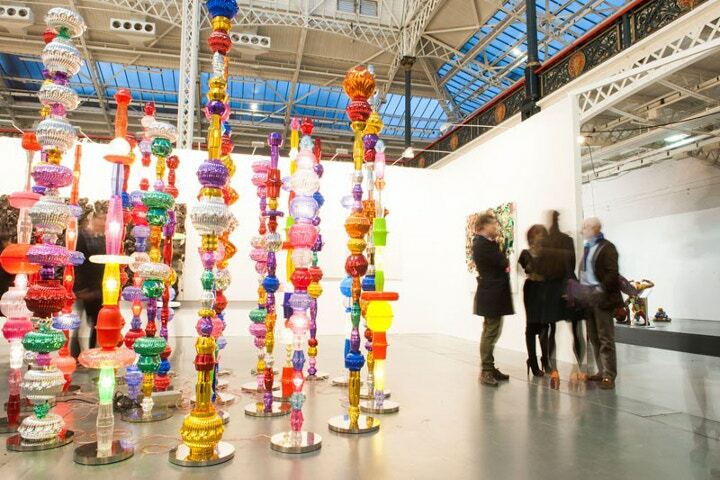 There were 31,000 visitors to the 2014 fair, and Art15 promises to be another huge cultural event in London this summer. Art15 are offering 2 for 1 tickets on standard day passes to the fair for Cass Art customers. We have partnered with Art15 to bring you an exclusive prize draw! Win a day pass to Art15 for you and your guest, a place for you and your guest on one of many expert led art tours offered at Art15 with themes ranging from Photography to Middle Eastern Art, plus a Speedball Deluxe Screen Printing Kit. It closes 17th May and you can enter here. Cass Art is delighted to support The Other Art Fair Bristol, as for the first time this celebrated fair comes to the city of Bristol. 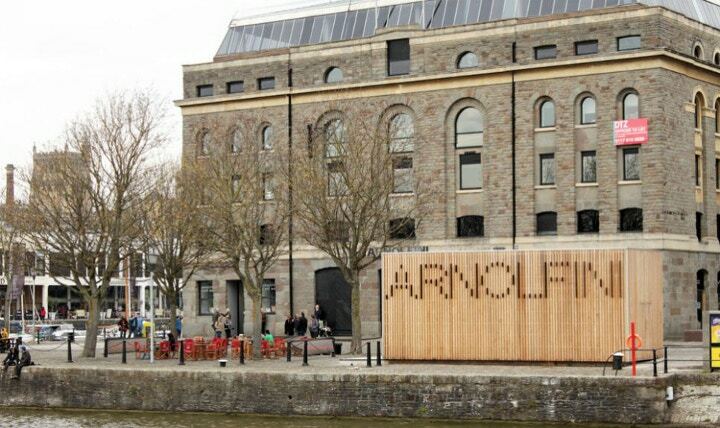 Taking place at the Arnolfini, the first thing visitors will discover is the unique atmosphere whereby everyone can explore their own reactions to contemporary art in a vibrant, buzzing setting. Visit for the opportunity to meet, discuss and buy from emerging artists, so you can discover work from the most exciting new talent. By purchasing artwork at the fair, you are directly supporting new artists and perhaps investing in an undiscovered gem! Throughout the day there are also a number of other creative things to enlighten, entertain and inspire visitors: live performance art, free curated walks, acoustic music sessions and a bar to relax with a coffee or a refreshing cocktail away from the bustle of the fair. If you buy anything at Cass Art Bristol, from 26th May onwards, you will receive a complimentary ticket that admits two people to The Other Art Fair Bristol! This ticket will get you in for free on Saturday 6th June and Sunday 7th June 2015. To celebrate their inaugural fair in Bristol, we have teamed up with The Other Art Fair to bring you an exclusive prize draw to win a work of art by one of Britain’s most significant female artists, Tracey Emin. The prize consists of two tickets to The Other Art Fair Bristol, a limited edition poster of the neon artwork ‘My Heart is With You Always’, hand signed by artist Tracey Emin, plus a screen printing set from Cass Art so you can make your own poster artworks at home. Hampstead Heath is the place to be for art lovers in June, with over 100 galleries in one space, showcasing a wide array of contemporary art. Explore the thousands of artworks by hundreds of artists priced, all priced between £100 and £5,000. 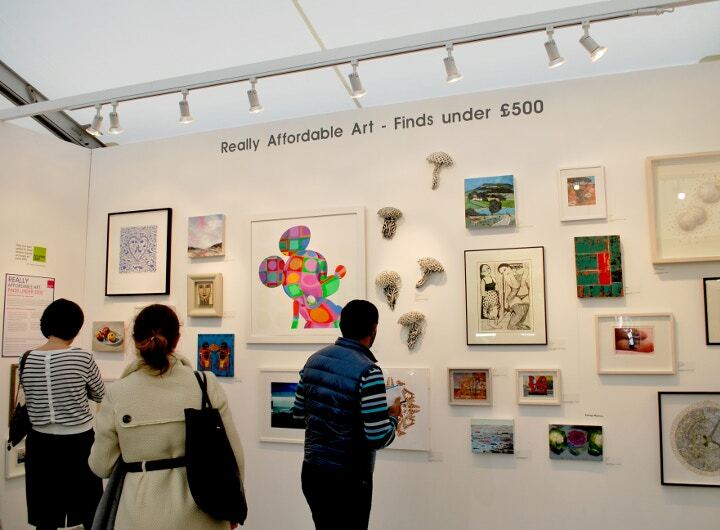 Affordable Art Fair springs from the belief that anyone can be an art collector, whatever your budget! The fair includes paintings, original prints, photography and sculpture, from traditional to contemporary, both by established artists and new discoveries, so there really is something for everyone no matter your taste. You can even get hands-on and creative yourselves, with their programme of workshops, planned for children and adults alike. Cass Art has partnered with Affordable Art Fair Hampstead to bring you an exclusive prize draw. The prize consists of a pair of complimentary tickets to the fair, £250 worth of Affordable Art Fair gift vouchers so you can buy some artwork there, and a Winsor & Newton Artists’ Water Colour Tube Bamboo Wooden Box Set. Simply enter your details here for your chance to win! Big news! New Designers celebrates it's 30th birthday at the Business Design Centre in London this year. Every year over 3,000 of the most promising graduate talents from Britain’s leading design courses exhibit, giving you an unmissable opportunity to buy new products, be inspired and discover new design talent to commission or recruit. The fair is in two parts depending on what kind of design you're interested in. Go along to Part 1 to see Textiles & Fashion, Costume Design, Jewellery & Precious Metalwork, Ceramics & Glass and Contemporary Design Crafts. Part 2 instead presents Furniture, Product & Industrial Design, Spatial Design, Graphic Design, Illustration, Animation, Motion & Digital Arts. You can book your tickets here. 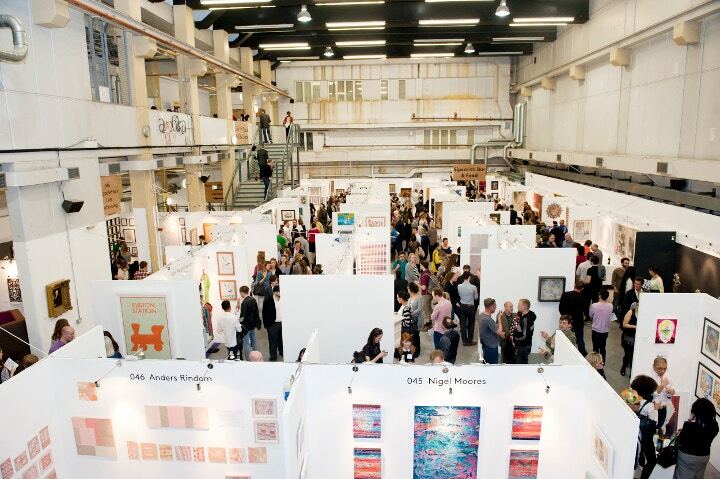 Held at Brunel's Old Station, The Affordable Art Fair is in Bristol this September, back with the same friendly, relaxed environment in which to browse, buy and enjoy the best contemporary art, from local galleries and further afield. Visit 50 galleries in one afternoon all under one roof, and explore the paintings, original artist-made prints, sculpture and photography all on show. As always everything is for sale between £100 and £5,000, so you can add to your art collection whatever your budget. The fair also includes several fun-filled, interactive activies that operate on a first-come first-served basis and are completely free. Children must be accompanied by a responsible adult at all times. You can find out about ticket prices here and they will become available soon. 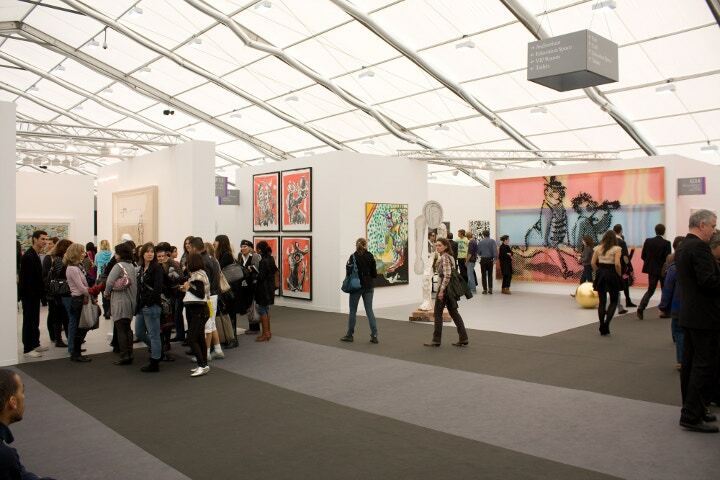 Frieze London is arguably the contemporary art event of the year. You can see and buy works from one thousand of the world’s leading artists, and the fair also features Frieze Projects, the fair’s unique, critically acclaimed programme of artist commissions and Frieze Talks, a prestigious programme of debates, panel discussions and keynote lectures. In 2014, the fair also introduced Live – a new section dedicated to ambitious performance-based installations, which will be back in 2015. Frieze London is housed in a bespoke structure in The Regent’s Park. Located in the heart of London, it is within easy walking distance of the city’s West End. 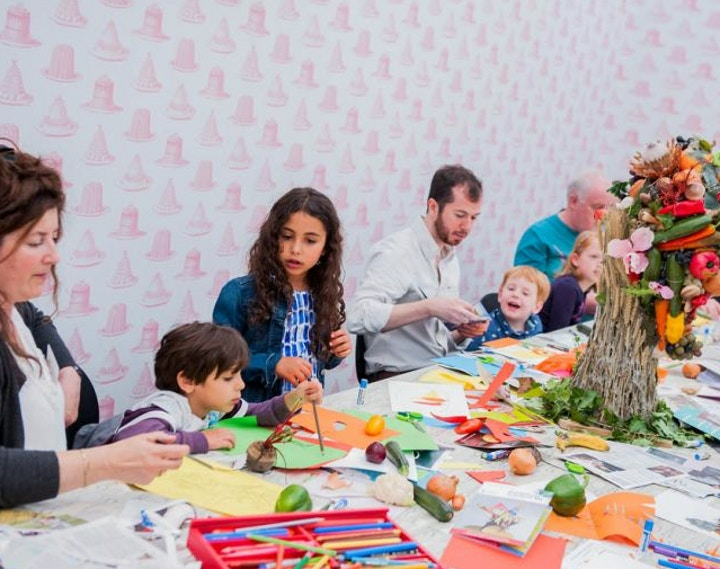 Tickets will be on sale from July 2015; for more information visit the Frieze website. The Other Art Fair will be showing in London again at the Old Truman Brewery on Brick Lane this October. Supporting undiscovered artists, The Other Art Fair offers a way for emerging talent to showcase their work to gallerists, curators, critics and collectors - and the general art-lovers who want to see what's out there. The fair is wide-reaching in its audience, attracting individuals who support artistic practice in other ways: advertising agencies, fashion designers and corporate companies looking to commission pieces. Tickets aren't yet available for this Fair but keep an eye on The Other Art Fair's website so you can snap them up when they are!